An employee at an AT&T store in California revealed the Lumia 900 release date – April 8. There is still no official confirmation on this, but some previous rumors also suggested the second week of April as the release time frame. The rumored price of the Lumia 900 is attractive at $99 (with a two-year contract, of course) and you might get a $25 gift card to use in the Marketplace as well. Nokia and Microsoft are preparing a huge marketing (digital and TV) campaign for the Lumia 900, so it seems with the Lumia series failure is not an option for neither the companies. Nokia has also uploaded a few new promo videos of the Lumia 900 too. Enjoy! 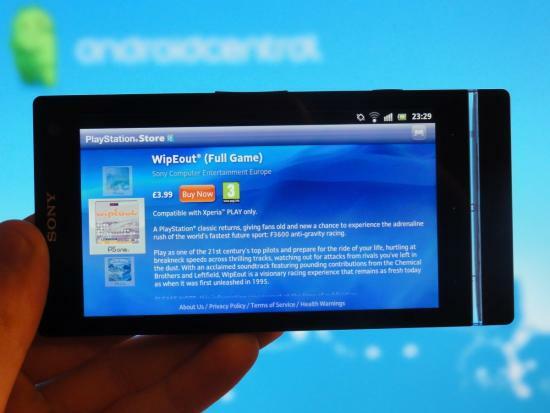 The Sony Xperia S is a fully PlayStation certified device, though at launch it lacked access to the PlayStation Store – not any more though. Sony just opened the doors and let the Xperia S and Xperia Acro HD (the Japanese version of the S), but the others of the NXT lineup will have to wait. There should be a placeholder app called “Let’s start PS Store” available on your phone, which will download the needed apps. Before you launch it, make sure to enable installation from unknown sources. 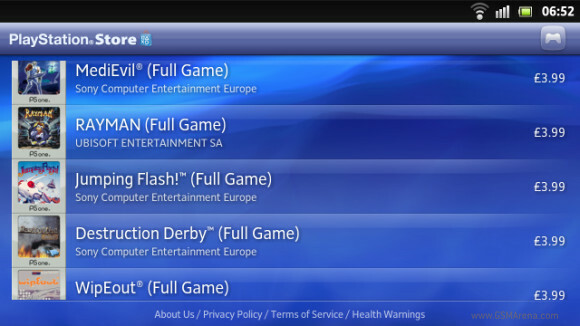 The placeholder app will download two new apps to your Xperia S (or Acro HD) – PlayStation Store, where you get games, and the PS Pocket, which serves as a launcher for games. After that’s done, head over to the Store and check out the 14 PS1 titles available. Note that they’ll run you £3.99. 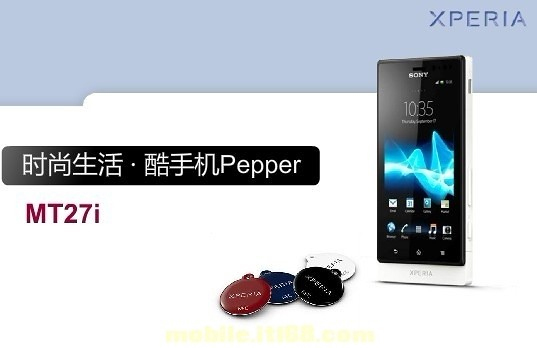 The rest of the NXT line, including the Sony Xperia ion, will get the same access as the Xperia S later on this year. Those who were thinking of going for the HTC One V but were put off by the boring shade of brown can now heave a sigh of relief because the phone has been spotted in two additional colors. 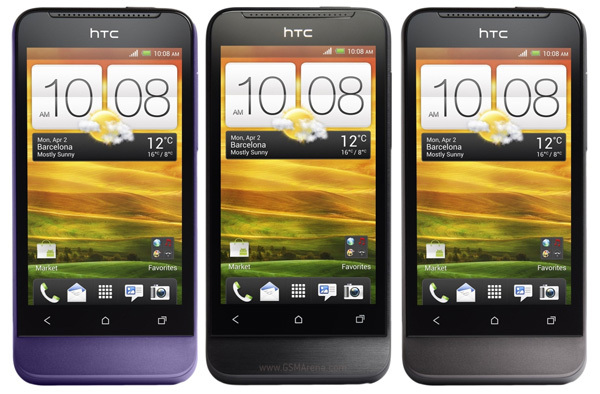 According to the pictures from Blog of Mobile, there also exist a black and purple colored variants of the HTC One V. The black one even seems to have a brushed metal finish to it, unlike the smooth finish on the brown and the purple variants. Whether these two colors will be available everywhere the One V is sold or if they will be limited to a specific market is not known. Hopefully, HTC will make these available everywhere, and add some more options in future too. HTC has made up a special offer for their domestic market in Taiwan bundling their newest quad-core One X smartphone with Beats Solo headphones. Unfortunately, HTC is mum on any probability of releasing the special bundle globally or in other markets besides the Taiwanese one. The package’s pre-order price is a shy below 25,000 TWD or $840. This works out as a great deal considering a standard HTC One X costs around $780 and Beats sell their Solo headphones for $180. Pre-orders for the Deluxe Limited Edition start on March 20, so you still have some time to break the piggy bank and check your pockets for some change. If you are the sort of person who likes to have carbon fiber on your phone and have the bank balance that can support such needs then your options just increased by one. 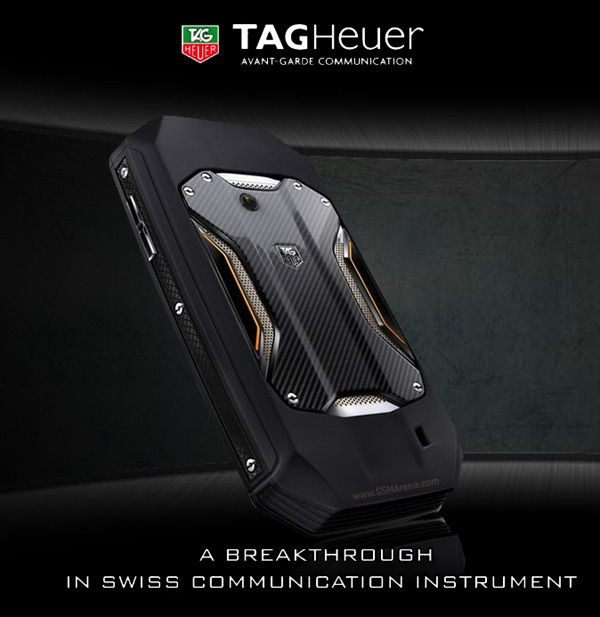 Famous watch maker Tag Heuer has just announced their new Tag Heuer Racer luxury smartphone. Most of its salient features can be seen right on the outside, where it makes generous use of carbon fiber and also titanium for its construction. The rest of the body is made of rubber, which makes it shock-proof. On the inside, the Tag Heuer Racer has a “high speed processor” and “latest Android software” with a new customizable 3D interface. Unfortunately, that’s the extent of the phone’s description, with no other features and specifications revealed at this time. The phone will go on sale in July for an eye-watering €2,800 (US$ 3,687) and will be available through TAG Heuer boutiques, luxury mobile boutiques and selected watch and jewelry retailers. You can check it out in the video below. 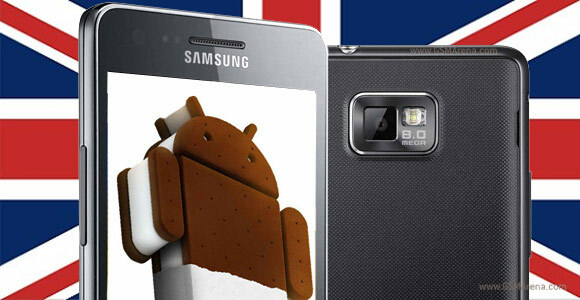 Some lucky fellas have been enjoying the official Android 4.0 Ice Cream Sandwich update on their Galaxy S II units since this morning, but those based in the UK will have to wait another week. Poland, Hungary, Sweden and Korea are the markets in the first wave of the update roll-out, with UK (among others) to follow shortly. The exact quote that Pocket-lint.com managed to get from Samsung is that the update will start seeding in Britain in the week commencing March 19, which is exactly 6 days from now. And with the Galaxy S II update already rolling out, the Samsung R&D center is already shifting its attention towards the Galaxy Note, Galaxy S II LTE and the Galaxy Tab 8.9 and 10.1 duo. 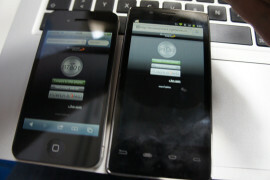 Those should be the next devices in the company’s lineup to get official Android 4.0 Ice Cream Sandwich updates. Finally, Samsung confirmed that it will be delivering Android 2.3 Gingerbread Value Pack updates for the original Galaxy S, the Galaxy Tab 7″, the Galaxy S Plus, the Galaxy W and the Galaxy from the end of March. The update will be bringing Face Unlock and other ICS features to the smart devices that won’t be getting to taste Android ICS officially. Sony has obviously put quite a lot of effort in the design of the Xperia sola touchscreen. The smartphone may only be a mid-range offering, but it’s shaping up to be one of the most interesting devices we have seen recently. It turns out that the floating touch technology that allows the Sony Xperia sola to detect your finger hovering over the screen isn’t the only trick it holds up its sleeve. It turns out that the Xperia sola screen is also geared to detect touches through non-conductive fabric, which suggests that it will work with gloves. The proof came from the following hands-on video that the guys from AndroidNext.de created at the Droidcon event in Berlin. Smartphones are now available in different shapes and sizes. In fact some has grown a bit bigger and larger than usual. There are some people that still long for a smartphone that they can place comfortably in their pockets. This is what the new Samsung Galaxy Pocket is designed for. The Samsung Galaxy Pocket is a new Android smartphone that caters to those who still want to have their mobile phone always handy in their pants pockets. This mobile phone is only 11.98mm thin and weighs 97 grams. It also comes with a 2.8 inch touchscreen display that features the convenient TouchWiz user interface for smoother navigation. It comes with a 3GB user memory with an SD card slot for an additional 32GB storage space as well as WiFi and HSDPA 3.6 connectivity for faster Web browsing. The Samsung Galaxy Pocket is set to first arrive in UK shores sometime this year and possibly to other countries as well. No pricing details have yet been provided. Japanese consumers have been known to be very loyal to its own local brands when it comes to electronics, but an international company has succeeded in taking a crack in this very difficult market. A report from IDC Japan declared that the iPhone is the top-selling handset of any kind in Japan. The launch of iPhone 4S soared the Cupertino-based company into a 26.6-percent market share of all cellphone shipments in Japan last fall. Yes, the iPhone has even outsold clamshell feature phones that have been a staple in Japan despite the early rise of the iPhone and Android. The Fujitsu–Toshiba alliance is at second place with 18.3 percent, bolstered by the launch of its Arrows smartphones. The pie chart is then shared by Sharp (15.7 percent), Kyocera (9.8), and Panasonic (8.8). On the full 2011 stats, meanwhile, Sharp remained the dominant smartphone brand with 20.1 percent, followed by Fujitsu-Toshiba at 18.8 percent. Apple is at third with 14.2 percent, eclipsing Panasonic (10) Kyocera (9.7). This milestone is a significant success to the iPhone even without having to inject Japanese-specific features like 1Seg TV tuning, FeliCa NFC payments, and the wireless battery charging. MWC gave us a lot to look forward to, with a new family of HTC devices alongside the first range of smartphones brandishing the Sony name and now these delights are making their way to carriers across the globe. 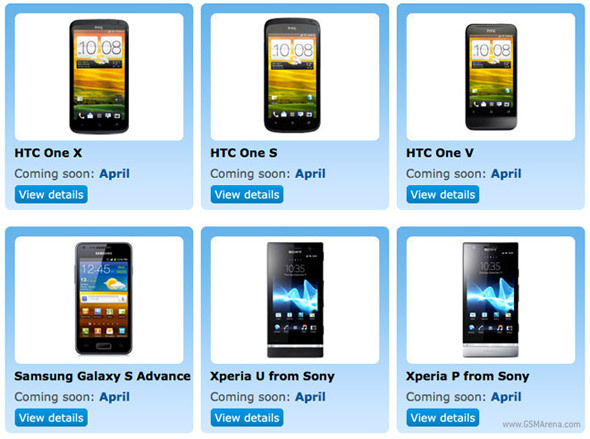 O2 UK recently updated their website’s ‘Coming Soon’ section to include the likes of HTC’s One X, S and V, the two new smaller Sony NXT series phones, the Xperia P and the Xperia U, the Samsung Galaxy S Advance and two members of Nokia’s Symbian running Asha phones, the 201 and 302. All of these devices are currently slated for an April launch so consumers don’t have long to wait to get their hands on some of the hottest handsets in 2012, but for those of you who simply can’t hang on that long, Sony have already unleashed their latest flagship device, the Xperia S, offering a refined Android experience designed to act as the new face of Sony Mobile Communications. Samsung Rugby Smart: Tough INC. The Samsung Rugby Smart for AT&T is bound to bring a massive dash of toughness to the Korean giant’s Android ranks. Compliant with MIL-STD-810f military grade standard, the handset will also enable Samsung to compete in yet another smartphone segment of the already saturated U.S. market. While it is no secret that Samsung’s smartphone lineup in the United States is difficult to keep track of due to its sheer size, a rugged device had been a notable omission until the arrival of the subject of today’s feature. Despite being a newcomer to the U.S. market, the Samsung Rugby Smart is hardly a revolution in terms of design or specifications. What Samsung have done essentially, is put the single-core, 1.4GHz Scorpion CPU and Snapdragon chipset of the Galaxy W into the casing of the Galaxy Xcover. Add a 3.7″ Super AMOLED screen to the mix and there goes the Samsung Rugby Smart for AT&T. Here is the full list of key features for you. As you can notice at its key features above, the Samsung Rugby Smart is not exactly at the cutting edge of the Android realm today. The smartphone surely is not a looker either. Instead, the handset is here to offer its potential users solid functionality, without compromising on toughness. In case you haven’t heard, a new version of Angry Birds is being released. But unlike the original version we have seen on iOS, Android, PC, Google+, and Facebook, Angry Birds Space will be available exclusively to Samsung Galaxy Note. I could hear a chorus of consternation nearby. Rovio’s latest creation was formally unveiled at SXSW in Austin, Texas. Angry Birds Space, as you can tell from the title, puts the laws of gravity and weightlessness into the fray of this physics-based trajectory game. Users will find a bonus level of play, as well as a free Danger Zone add-on, which consists of 30 levels that would be available to the public as an in-app purchase. Angry Birds Space will officially debut on March 22. Intel are serious about getting into the mobile phone business with phones like the Orange Santa Clara. The Intel Atom Z2460 chipset however drew some ridicule for its single CPU core. Early benchmarks show, however, that the single (but HyperThreading-capable) core packs a lot of punch. A lucky CeBIT visitor had a chance to run a couple of browser-based benchmarks, which are easier to access than dedicated apps. The Santa Clara scored nearly 90K on BrowserMark, beating an iPhone 4S by a slight margin. The Samsung Galaxy Nexus, which uses the highly-optimized Android 4.0 ICS browser, scores over 100K on this benchmark, but the Santa Clara is still on Gingerbread and should see its scores jump after the planned ICS update. 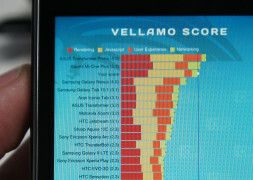 The Intel-based droid also posted some impressive scores on Vellamo. It managed to outpace the Galaxy Nexus and placed behind the quad-core Asus Transformer Prime and the dual-core Xiaomi Mi-One Plus. The Orange Santa Clara used for these tests ran Android 2.3.7 Gingerbread and its Atom CPU was reportedly clocked at 1.4GHz. Browser-based benchmarks are not the best at pushing several CPUs to their limit (and much less when it comes to the GPU), but these are pretty encouraging results, especially with a dual-core Atom chipset on the way.